The client I was speaking with had just sent his weekly newsletter through DocMonk for the third time. We were discussing the download rates for the issues he's sent. Currently, only about 40% of the newsletters to paid subscribers are being downloaded. Downloading the issue is the only way to read it (DocMonk is the only form of fulfillment offered), so it's puzzling that so many people who had paid a lot of money to receive a newsletter aren't even reading it. Then, we started thinking of ideas to increase the download-rate. Maybe he should send a mid-week reminder (this newsletter arrives on Monday morning). Maybe he needs to include a more-detailed summary of that week's content in the email body. Certainly, there are many other things to be tried! This is what made me think Drucker's quote. Before he started using DocMonk, this client had not been measuring the percentage of his subscribers that were actually reading the newsletter. The reason for this is simple enough: it wasn't possible. Previously, he would email the PDF out to the subscribers as an attachment, and assume that they were reading it. DocMonk provides detailed reports of exactly who is and who is not opening the documents that are sent. This gives publishers the opportunity to test strategies for improving the "read-rate" of their newsletters. I have no doubt that this client will be driving his download rate higher in the coming weeks. Ultimately, he will see all the benefits of higher readership including increased word of mouth, more responses to the content; and most importantly, more renewals. One way that DocMonk increases ease of use for document recipients is by eliminating the need for users to log in to the site. Users need only click on the link they receive from the publisher and they immediately get to download their personalized PDF document. The main way that DocMonk protects publishers' content is by keeping the URL a secret between the publisher and subscriber. Of course, just having a secret URL isn't very good security. One risk is search engines, which may find the page and then index the content or allow others to find it. DocMonk prevents search engines from getting to publishers' valuable content by using a robots.txt file, which directs search engine crawlers to go away. 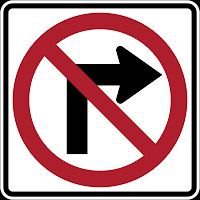 However, a robots.txt direction is kind of like a "No Right Turn" sign; less civically minded members of the community might choose to ignore it. To put some teeth into our "no search engine" policy, we use CAPTCHAs to make sure every visitor is a living, breathing human being. We've all seen CAPTCHAs. They are those distorted series of characters that you must type when a website is trying to prevent spam. DocMonk uses reCAPTCHA to verify that the entity trying to download a protected document is a human being. By ensuring that only humans get through to the document, DocMonk prevents search engines from indexing and caching the documents. Once DocMonk determines that a particular user is really human, subsequent attempts to download documents usually do not require completing a new CAPTCHA challenge. CAPTCHAs are one way that DocMonk strikes a balance between security and usability. Below are 29 ideas for PDF documents that you may want to personalize before sharing with others. Personalizing a document is an example of Social DRM. It is perfect for situations where you don't want the information in the document to spread beyond its intended recipients, but you also don't want to insult or inconvenience people either. You probably trust your friends, family, coworkers and customers; but not 100% and not all the time. For relationships like these, personalizing a PDF document is a great strategy for protecting your work because it is proportional to the threat. You don't need an expensive, heavy-handed and inconvenient DRM solution. You just need the ability to let your recipients know that you care about sharing, and a way to trace back any shared copies that end up in the wrong hands or on the internet. Obviously this list is a small sample of the possibilities. Remember to use stamp.la for simple, one time jobs and DocMonk for robust PDF personalization and delivery. I'm pleased to announce that stamp.la is officially launched. stamp.la is really just a simple hack that takes advantage of the DocMonk API and makes it faster and easier than ever to stamp a person's name to a PDF document.